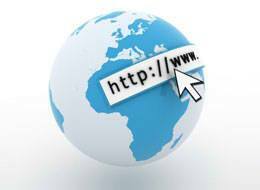 The number of Internet users will surpass 2 billion before the end of 2010, the International Telecommunication Union (ITU) said in a report. The current world population is estimated by the U.S. Census Bureau to be 6.876 billion, which would mean that approximately 30% of the population will be online at the end of this year. There will be 226 million new Internet users this year, 162 million of which will be from the developing countries. Despite the fast growth of Internet users there, the developing countries still have a long way to go to catch up with the developed world. By the end of 2010, 71% of the population in developed countries will be online, compared to only 21% of people in developing countries. Regionally, 65% of the population is online in Europe, 55% in the Americas, 21.9% in the Asia/Pacific regions, while a mere 9.6% of the population is online in Africa. The ITU, United Nation’s agency for information and communication technologies, sees broadband and public internet access as the most important factors that will drive growth in the developing countries. “Broadband is the next tipping point, the next truly transformational technology. It can generate jobs, drive growth and productivity and underpin long-term economic competitiveness”, said ITU Secretary-General Hamadoun Toure.